Blues is more than a feeling. At least that's what two recent Greenville visitors have spent the summer trying to prove. 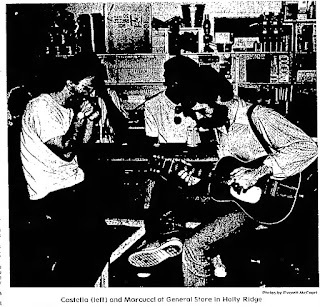 Giambattista Marcucci and Enzu Castella, both students of the University of Rome in their native country, Italy, were in Tennessee and Mississippi during the month of July talking to and taping some of the area’s 'blues" musicians. 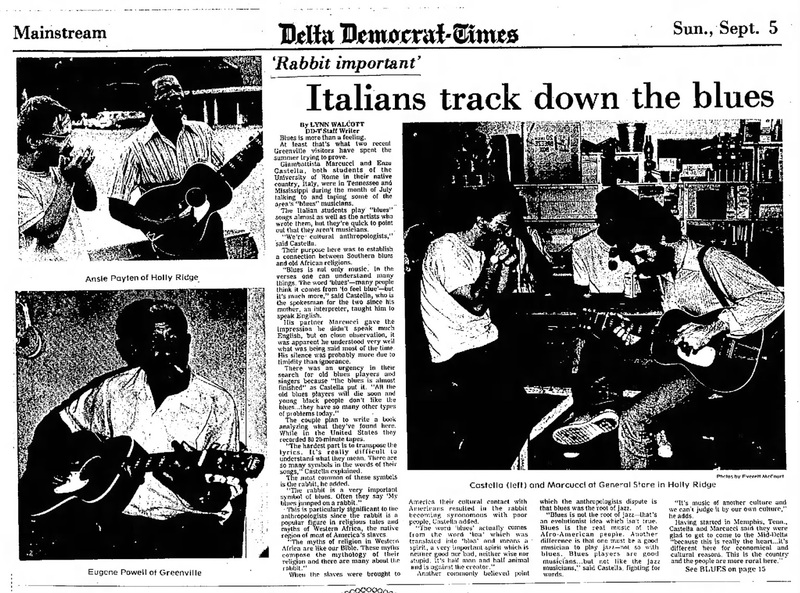 The Italian students play "blues" songs almost as well as the artists who wrote them, but they're quick to point out that they aren't musicians. “We're cultural anthropologists," said Castello. 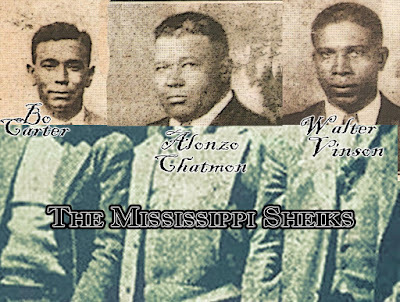 'Their purpose here was to establish a connection between Southern blues and old African religions. "Blues is not only music. In the verses one can understand many things. The word 'blues'—many people think it comes from 'to feel blue'—but it's much more," said Castello, who is the spokesman for the two since his mother, an interpreter, taught him to speak English. His partner Marcucci gave the impression he didn't speak much English, but on close observation, it was apparent he understood very well what was being said most of the time. His silence was probably more due to timidity than ignorance. 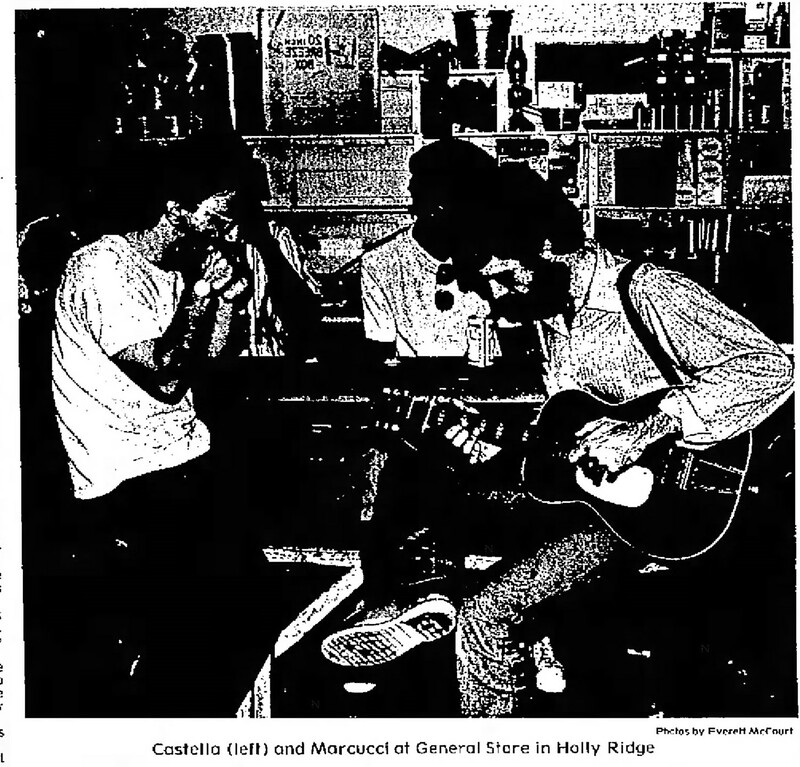 There was an urgency in their search for old blues players and singers because "the blues is almost finished" as Castello put it. "All the old blues players will die soon and young black people don't like the blues…they have so many other types of problems today." The couple plan to write a book analyzing what they've found here. While in the United States they recorded BO 20-minute tapes. "The hardest part is to transpose the lyrics. It's really difficult to understand what they mean. “There are so many symbols in the words of their songs," Castella explained. The most common of these symbols is the rabbit, he added. "The rabbit is a very important symbol of blues. Often they say 'My hives jumped on a rabbit." This is particularly significant to the anthropologists since the rabbit is a popular figure in religious tales and myths of Western Africa, the native region of most of America's sieves -The myths of religion in Western Africa are like our Bible. These myths compose the mythology of their religion and there are many about the rabbit." When the slaves were brought to America their cultural contact with Americans resulted in the rabbit becoming synonymous with poor people,” Castella added. "The word 'blues' actually comes born the word 'Ina' which was translated into 'bias' and insets spirit, a very important spirit which is neither good nor bad, neither wise ear stupid. it's halt sum and half animal and is against the creator." Another commonly believed point which the anthropologists dispute is that blues was the root of jazz. "Blues is not the root or jazz—that's an evolutionist idea which isn't true. Blues is the real music cut the Afro-American people. 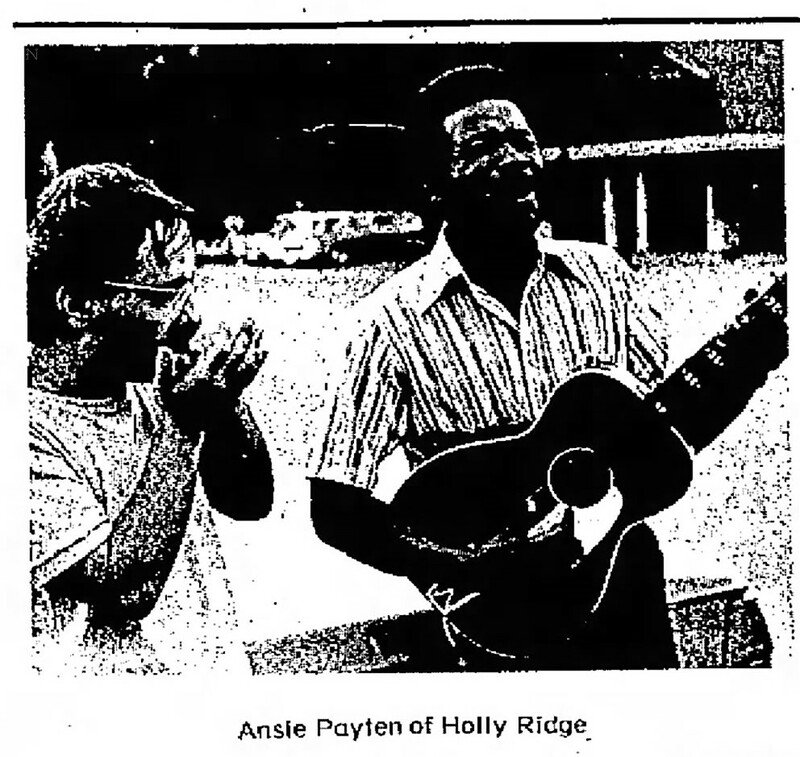 Another difference is that ore must be a good musician to play jar —not so with blues. Blues players are good musicians...but not like the jazz musicians," said Castella, fighting for words. "It's music of another culture and we can judge it by our own culture," he adds. Having started in Memphis, Castello. and Marcucci said they were glad to get to come to the Mid-Delta "because this is really the heart...it's different here for economic and cultural reasons. This Is the country and the people are more rural here." "We've studied the different styles and learned about the different ways these people live. It's a big question. The blues may be the most important, most organic, most compact form of music today. It's not an individualist music like jazz. Its meaning is the kind of life of the community—it tells the condition of life in the community," Castella said. It was "not a happy work" for him, said Castella--visiting the black musicians in their homes, talking to them about their life, their music and paying them a sum of money ("I'm not bashful to say we paid them money--what else could we give them that they'd want or need?" to record their music. "The cultural contradiction explodes—theirs' is another kind of life." And "blues" is an important part a that life since it has been the only way of communicating traditions from one generation to another. "The black race his no written culture. They're Americans, they've been here over 100 years, but most of their culture has never been written down. "That’s why blues is more than just music—its the most important part of another culture."